The Man Who Knew Infinity is not only about mathematics; it’s about the powerful bond between two men and how it shaped their lives. The journey of self-taught mathematical prodigy Srinivasa Ramanujan and the journey of bringing his story to life on the page and screen both began with a letter. In 1913, Ramanujan, a poor accounting clerk from South India with an unexplainable knowledge of mathematics, wrote to G.H. Hardy, a renowned English mathematician and scholar at Trinity College, Cambridge, hoping that Hardy could respond to some of the theorems and formulae Ramanujan had developed on his own. Seventy-five years later, author Robert Kanigel, replying to an editor’s interest in a biography of Ramanujan, wrote her to say he had come to realize that the book he had in mind—the book on which this film is based—needed to be not just about Ramanujan but about Ramanujan and Hardy and the relationship that developed between them. Some five or six years after the publication of The Man Who Knew Infinity, writer/director Matthew Brown and executive producer Tristine Skyler were visiting Brown’s aunt in Big Sur when Skylar noticed the book in Brown’s aunt’s library. She thought it would be of interest to Brown as he was studying the Great War, and Kanigel’s book was primarily set during this time period. Brown was intrigued by Ramanujan’s story and found the biography to be one of the most interesting he had ever read—and quite cinematic. Brown reached out to Kanigel in hopes of adapting the book for the screen. Their first meeting lasted nearly five hours. “He grilled me about the book and by the end of the meeting I felt as if I had passed some kind of test,” recalls Brown. The meeting led to a friendship that continues to this day. Brown took the project to producer Sofia Sondervan with the idea of submitting it to legendary producer Edward R. Pressman. “I hoped that Ed would find Ramanujan’s story historically important and thus worth making; with his help I was confident I’d get the film made,” says Brown. Matthew Brown has been a writer for several years. In addition to The Man Who Knew Infinity, Matt adapted the Ian Fleming biopic for K5/PalmStar/Animus Films, which chronicles the years that inspired Fleming to create the iconic James Bond character. 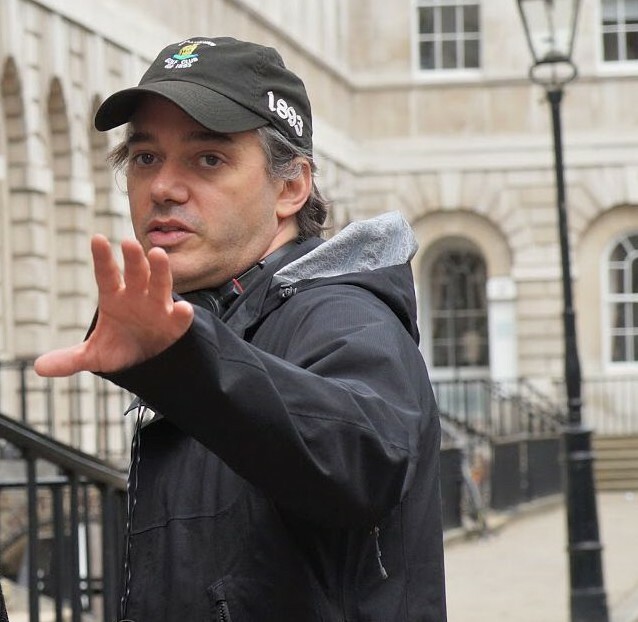 Brown also wrote London Town to be produced by Sofia Sondervan and Killer Films. The film will star Jonathan Rhys Meyers and will be directed by Derrick Borte (The Jonses). Most recently, Brown developed a one-hour drama for AMC with Gerber Pictures producing. Born and raised in Boston, Massachusetts, Brown graduated from Trinity College. With the financing for the film beginning to fall into place, Brown had the hard decision of casting his two leads. 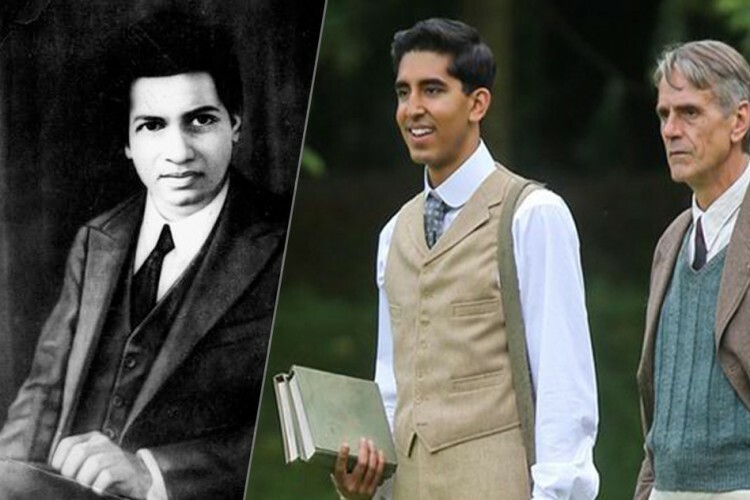 He knew it would be necessary to find an accomplished Indian actor with some worldwide audience appeal to portray Ramanujan, and the name that was foremost in his mind was Dev Patel, who had achieved acclaim for his roles in the Academy Award® winning Slumdog Millionaire and the global hit The Exotic Marigold Hotel. Says Patel, “I wanted to do the role because it is rare for an actor who looks like I do to come across something that is so meaty, and I knew the film would attract stellar artists who I’d get to act opposite. When a film does not rely on CGI or special effects, it’s performance driven and I thought a story about two humans with drastically different ideals would be an amazing journey to go on and it turned out to be just that. My character was plucked out of obscurity in the middle of India and brought across the water to Trinity College, Cambridge, one of Britain’s greatest institutions, where he worked alongside the great mathematician, G.H. Hardy who is played by Jeremy Irons. Ramanujan was very religious and thought mathematics was like painting without colors; he believed every equation was an expression of God. Hardy, on the other hand, was an atheist and believed in the practical way of doing proofs to explain theorems and this is what he tried to instill in Ramanujan. Collaborating with Jeremy Irons is a dream for any young actor, and he was everything I expected and more. He has a wonderful sense of humor and is so generous. The teacher/student role came very naturally, and Jeremy created a space that allowed me to take big risks and be confident. He’s an incredibly thoughtful human being and that translates to his acting style. He’s all about the nuances—everything had to be just right on set. If it was winter outside, then there had to be gloves and an umbrella on the seat, and if we had done a ton of mathematics on the board it had to be dirty. It allowed us to really immerse ourselves into the environment almost as if we were sucked into a time warp. It was amazing. Trinity College took my breath away. For us to get the permission to film there with a big crew was such a feat; we were incredibly lucky. I went to a school that was on the other end of the spectrum from Trinity so when I got there I could immediately put myself in Ramanujan’s shoes and feel the magnitude of what was happening. For G.H. Hardy, Jeremy Irons was a clear favorite for both Brown and Pressman. Irons had starred in the Pressman produced Reversal of Fortune and went on to win the Academy Award® for Best Actor for his portrayal of Claus von Bülow, and Pressman was keen to work with him again. “What excited me about The Man Who Knew Infinity was that I knew nothing about the story nor the man, and I found the mathematics of it all fascinating,” says Irons. Irons’ says of portraying G.H. 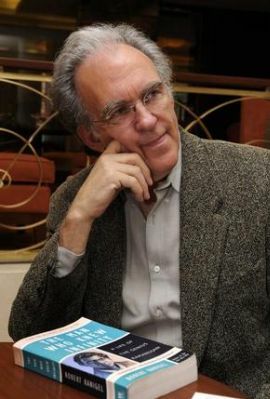 Hardy and challenges of finding his character, “When you play a character, there really is no difference if he is fictional or real, unless he exists in people’s consciousness. I’ve played real people in the past, and what you try to do as an actor is in the first few minutes of the film make people forget what the real person looked like and make them think the person is you. When you have the luxury of the character being a real person, you look at as many photographs as you can and try and sort of weigh up who that person is, what the photograph tells you, which oftentimes is not a lot. Hardy wrote a wonderful booklet, perhaps from his speech ‘The Mathematician’s Apology,’ which takes you inside his passion for mathematics. It made me realize that something that is entirely passionless to me does contain passion, wonder and mystery and art. His writing really helped me get into the character. Also, his lectures are reported and he was a very accessible lecturer; he talked about something that to me is very inaccessible and began to open it up a little. I sort of feel in a rather irresponsible way, responsible for most of the characters I play and responsible to the film to make the character believable and interesting. To help with the portrayal of mathematics in the film, Brown relied on another special consultant: Ken Ono, the Asa Griggs Candler Professor of Mathematics at Emory University in Atlanta, Georgia, and a Ramanujan scholar. Ono has his own personal connection to Ramanujan. When he was a young boy, Ono’s mathematician father received a flimsy rice paper envelope covered with Indian stamps. The letter inside was from Ramanujan’s 85-year-old wife and widow, Janaki, thanking Ono’s father for being a member of the global community of mathematicians who sent money to support the raising of a statue in Ramanujan’s home town. In describing the work of Ramanujan, Ono says, “The mystery behind Ramanujan, the mathematics during his time and his legacy that we enjoy today, all of it is quite frankly mind-boggling. Back in the day they asked the question, ‘how did Ramanujan come up with his ideas’ and we still ask that question today. I can offer all sorts of answers, but we don’t really know. Perhaps what is even more important is that we are still finding new applications all over mathematics, all over science that we wouldn’t really have imagined ten years ago; the legend of Ramanujan is mysterious at every level. We don’t know how he came about his findings, and we are discovering that he imagined expressions, he imagined formulas that would go on to be very important in terms of areas that did not even begin to exist while he was alive. It is an incredible story. The Hardy/Ramanujan collaboration is quite remarkable. First of all, there would have been a language barrier and many cultural barriers, and this all happened during World War One. In terms of their work, one of the major obstacles they faced was that as an untrained mathematician, Ramanujan just wrote down his findings on pieces of paper and thought that would be sufficient. But as a Western-trained mathematician, Hardy recognized that you have to prepare your findings for publication in books and journals, and to do this properly you have to justify and offer proofs of your claims. Ramanujan was not accustomed to offering or producing these, so one of Hardy’s most important tasks in mentoring Ramanujan was to make Ramanujan recognize that if his work was to be accepted by the greater mathematical community, he had to conform and learn how to assemble and then write coherent proofs. Ramanujan kept notebooks, his mathematical diaries so to speak, which are readily available today and mathematicians are still trying to figure out their contents. Ramanujan also published more than thirty papers, which appeared in ordinary journals, and these journals are also readily accessible on line and in university libraries. Professional mathematicians have edited Ramanujan’s notebooks, and have published commentaries on individual chapters in his books, which is highly unusual—usually mathematical publications only appear in the form of refereed publications and research monographs. Ramanujan is one of the few mathematicians whose work is so important that reproductions and scans of his original notes are made widely available online and in print. 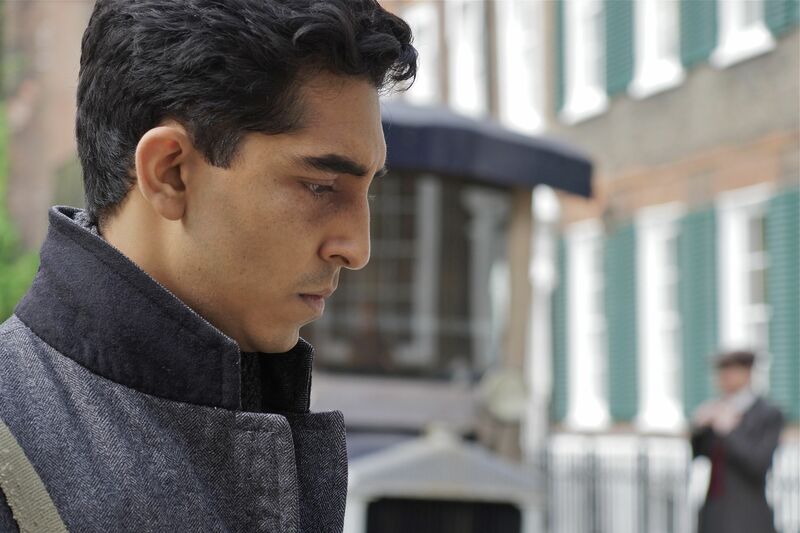 In the film, Hardy takes Ramanujan to the Wren Library, and shows him Newton’s Principia Mathematica. 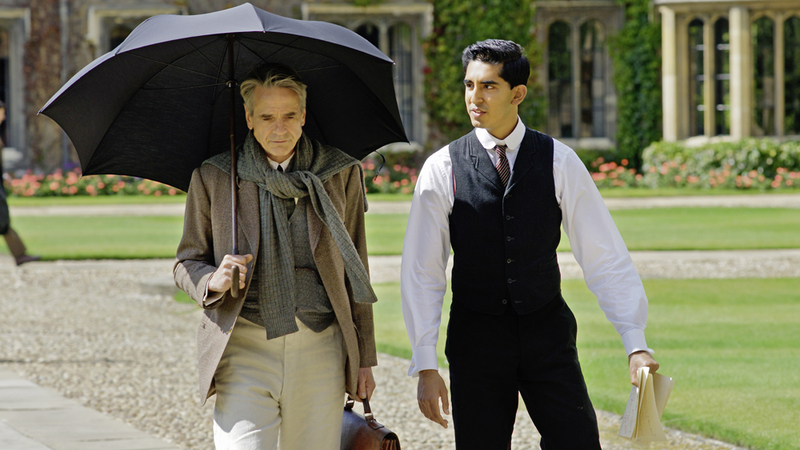 Ramanujan walks beside Hardy through the library. He speaks with a passion Ramanujan has not yet seen. There are many great honors in life. For us, to be a Fellow is certainly one. But in my humble opinion the greatest is to have a legacy at Wren once we are gone. In this very library are the Epistles of St. Paul, the poems of Milton, Morgan’s bible, and in my estimation as a man of numbers, the piece de resistance, Newton’s Principia Mathematica. Ramanujan’s “Lost Notebook” is in the Wren Library, and the original three notebooks are in the library at the University of Madras.